It's all code. If your listen closely you can hear the numbers! Black Mirror: Bandersnatch is an interactive film from the Black Mirror series. 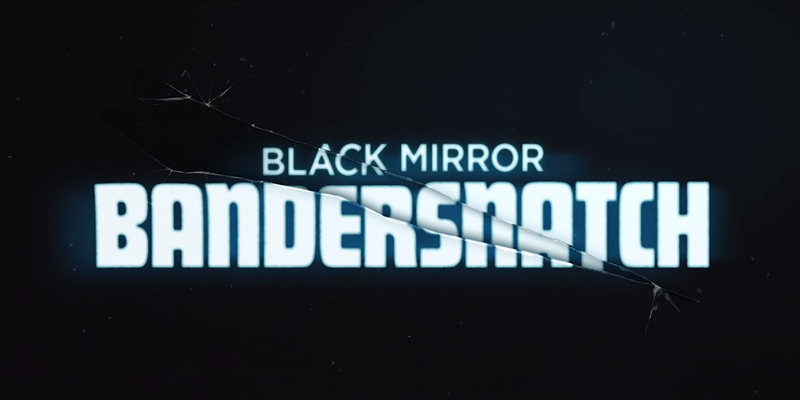 The film allows the viewers to make decisions for the main character Stefan, a young programmer that is making an adaptation of a "choose your own adventure" fantasy novel into a video game, both called Bandersnatch. When Stefan starts to suspect he's being controlled by something he becomes paranoid and questions the fabric of his own reality. As you might have already guessed this will have spoilers so before continuing we highly recommend watching the film. Stefan will die on Dr. Hayes office and the credits will roll. Wait for them to finish because after it there's a post-credits scene where Stefan listens to his game's demo, since this is a game it's not meant to be heard but played so we are greeted with an unpleasant noise. This noise is what we are looking for and our trailhead for this ARG! You can play the game and get the audio for yourself but we'll embed it here. If you prefer to just listen to it directly, you can also download it from this google drive. The audio, this way, has little to no meaning but it will prove to be useful in the next part. For this next step, we'll need some extra knowledge about the episode. if we want to run his game's demo we need to run it on the same system, a ZX spectrum. Launched by Sinclair, the Spectrum was among the first mainstream audience home computers in the UK. Programs for this PC were distributed in the form of cassettes and that is what Stefan was listening to in the port-credits scene, that audio is a fully functional program for the ZX Spectrum. So how would one go about running a game for the Spectrum? It's unlikely you have one of this computers lying around and even if you did burning this audio into a cassette wouldn't be a trivial task. For this we'll need to use an emulator, luckily projects like the Free Unix Spectrum Emulator or FUSE can do that for us. It's simply a question of downloading the appropriate version for our system and dragging the post-credits audio to the FUSE window (it only works when it's dragged so make sure to do that instead of using the menu to open the file). 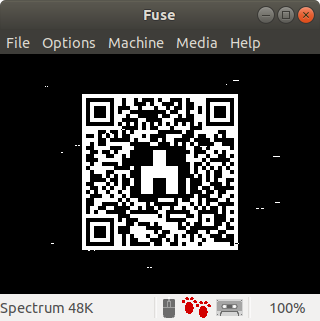 Once we run the program we'll be greeted by a QR Code with the ⵄ symbol in its middle. When decoded it translates to https://tuckersoft.net/ealing20541/, where we can observe that the website has 3 different versions, related to some of the different possible endings to the episode. We can go through them by repeatedly clicking on History or by changing the tl cookie from 0 to 2. This website is filled with black mirror references but the most interesting part is the fully playable Spectrum game NohzDyve, a game that was featured in the episode as the project another developer was working on. 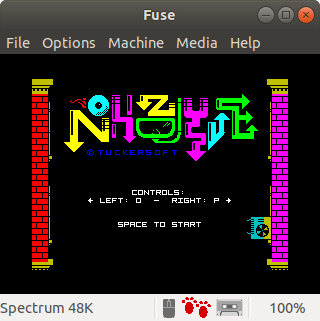 It can be found on https://tuckersoft.net/ealing20541/nohzdyve/ and to play it is the same process as with the post-credits audio, simply drag the downloadable nohzdyve.tap file over to the FUSE window and the game will start. Currently, we are trying to find if there's anything hidden in NohzDyve and the website. Since the website homepage is just a simple "Check back later" notice we believe there will be more content added later on. 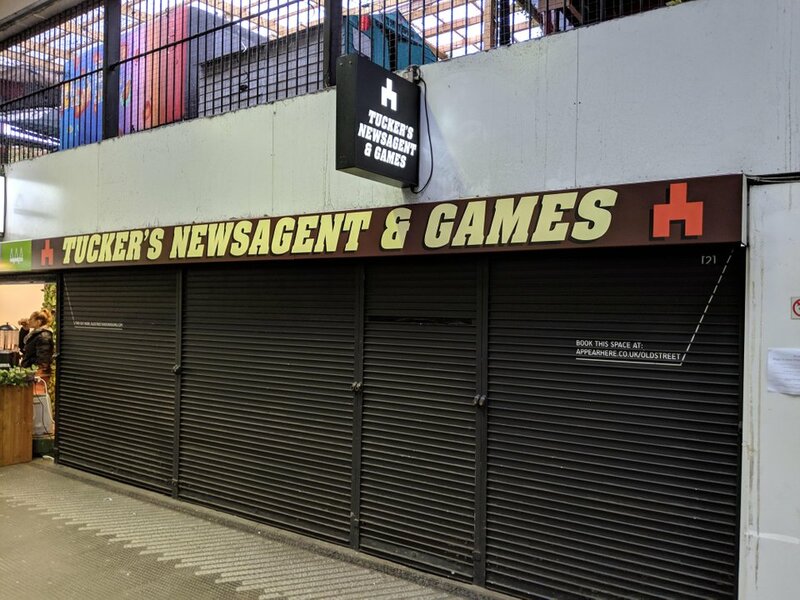 This idea gains strength with the appearance of a TuckerSoft Shop on the Old Street Station in London. We will update this article as the game develops. You can join the conversation on discord.